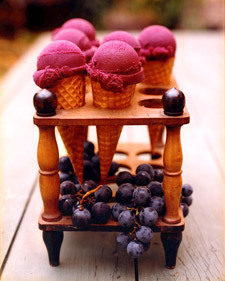 A beautiful purple sorbet, and what better way to use all the delicious grapes you got from Bulk Natural Foods! I’ve adapted this recipe from Martha Stewart Living, and it is wonderful! Try it!